Hard work does play off and Sunday night it did so for RBC’s ANNETTA PANAYIDES gave STEVENS INSTITUTE OF TECHNOLOGY. This caps off a dream that maybe a few years ago did not seem possible. But Annetta Panayides made all the right moves and let the chips fall where they may. Those chips landed her at one of the best schools in New Jersey. 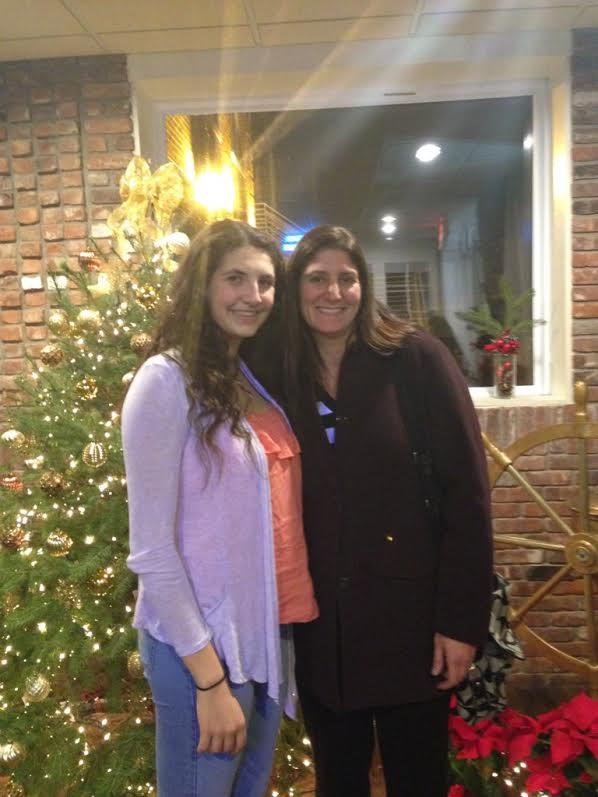 The first two years of Annetta Panayides high school career was spent at Monmouth Reg. It’s where her friends she grew up with attended school. It’s a quality school academically. It’s a place most parents and kids would be very proud to attend. But Monmouth Reg does have a rich girls basketball history. 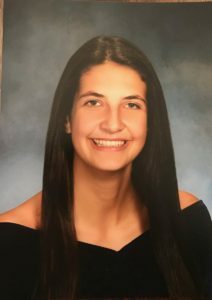 Annetta Panayides, wanted more than what Monmouth Reg. could give her in this area. So she took the chance and transferred to RBC, a school with what many believe is that best Academic/ Basketball package in New Jersey. It’s also a school that is rich in talent. Annetta Panayides had to know, they would be no promises. She had too know she was talking a real risk. But she also was prepared to work to the bone and give herself the best opportunities both on and off the court. Annetta’s dad is all smiles these days. When I meet Annetta Panayides 3 years ago, she was tall and a raw talent, who was new to the game of basketball. She was trying o catch up to all the girls who had started playing when they were in diapers. She was behind in game experience and in skills. But she had a work ethic, and a real desire to improve. Some kids talk about working hard and putting in real time. But when the reality of not getting time, sets in, most kids call it a wrap. I was surprised that Annetta was so committed for a kid who was so new to the game. She seemed to be everywhere and more importantly she was a sponge. If I told her to be somewhere, she was always there. If I asked her to give a little, that’s exactly what she did. She was that rare kid, who believe that she could develop if she out worked everyone. RBC ALLOWED ANNETTA TO PLAY AGAINST THE BEST! 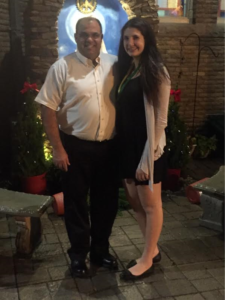 I watched as Annetta saw very little time as a junior at RBC. She had to know breaking into the lineup at one of the best teams in the state would not be easy. She had to know about all the Division one players on the roster who were returning. But sometimes a player must think long term about there future. She could’ve returned to Monmouth Reg. get lots of playing time and even start. But would she develop was the real question. 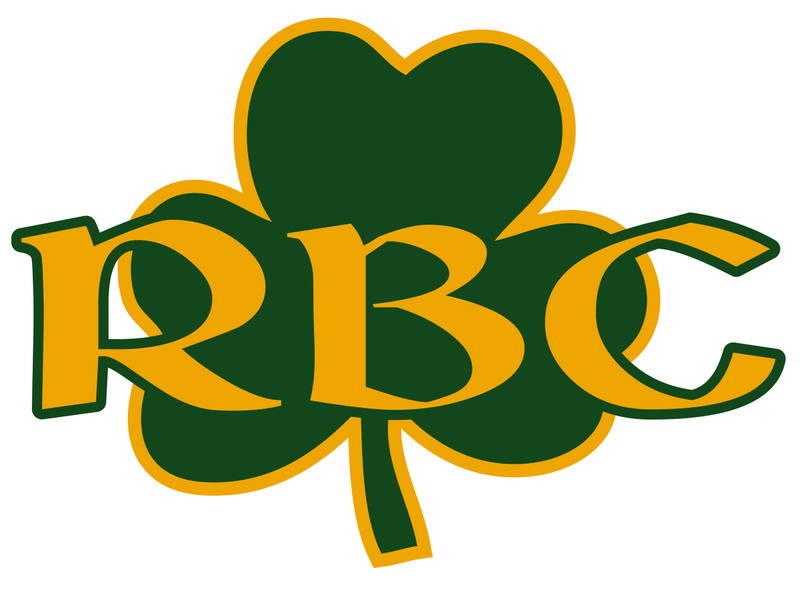 RBC while not offering playing time, most kids hope for, did offer something else. It offered Panayides a chance to learn under a Hall of Fame coach in Joe Montano. It offered her a chance to practice against some of the best players in New Jersey. Then of course RBC is RBC meaning creditability of the highest level in the eyes of college coaches. Annetta understood all this and took advantage of it every step of the way. The Shore Shots allowed Annetta to showcase her improved talents. 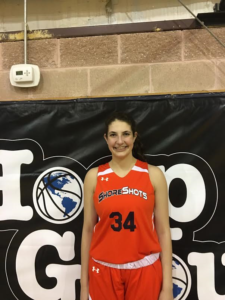 This summer Annetta Panayides played for the New Jersey Shore Shots and Eligh Allen. She had spent the spring readying for the summer. She trained with Mike Rice and his post players, better known as the UNSTOPPPABLES. It’s a group of girls all over 6ft tall. It’s a group of post players who want to learn the position. Mike Rice schooled and pushed Annetta all spring. It paid off, because this summer at times Annetta was dominate on the AAU tour. 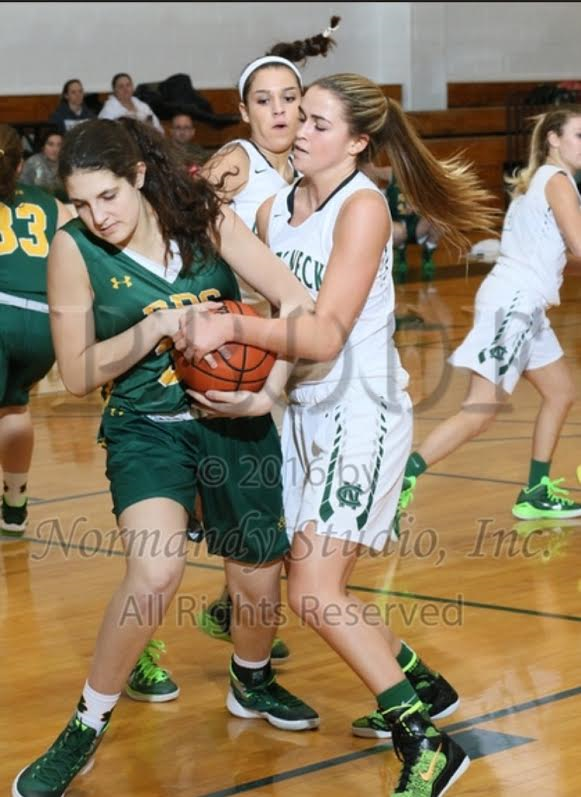 She had double figures scoring and rebounding games. She was always a good passer and defender. But it was clear she had improved in both area’s. College coaches noticed and many solicited her services. Annetta found out that being a great student and a good basketball player could really pay off…she had multiple schools to choose from. She had D2/D3 and even a few D1 schools hoping to sit and speak with her. Proving if you are part of a quality program like RBC and work hard. Things will work out in the end. 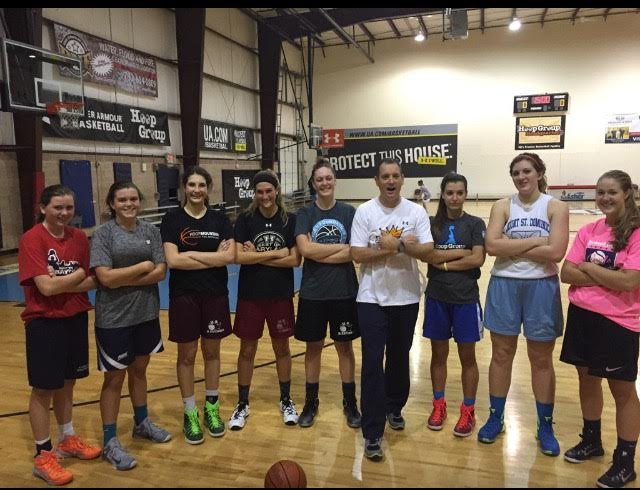 Mike Rice and the UNSTOPPPABLES…just a few studs to say the least in this picture. Annetta Panayides did the college tour this fall. She visited all the schools recruiting her. it had to be flattering to turn down scholarships from quality programs. She meet the coaches and the players on each team. But she took her time and was not in a rush to make a decision. She wanted the right school and the right coach. She also was determined to pick a school that she could make a impact. Sunday, she knew Stevens Tech Institute was that place. Annetta, had worked hard the past three years and now had made her dream come true. She did it the unconventional way, not focusing on playing time. But more importantly improvement. She now has positioned herself for a big college career. Stevens Institute may not know this, we have not seen a faction of what Annetta Panayides will become. This is a player that has improved every year. This is a player that will run though a wall for them. Annetta, will work every day for the Stevens Institute coaching staff. Before her playing days are over she, will be a dream come true. 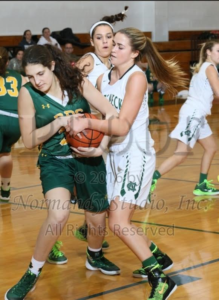 She will be that rare D3 post player that can control the paint both on offense and defense. 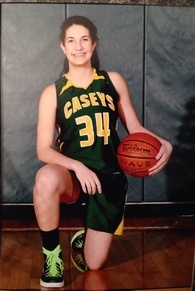 She has seen the best competition high school basketball can offer….nothing will surprise her. She has proven that if you don’t take short cuts, work hard and understand that thinking long term and not short term…YOU CAN BECOME A COLLEGE BASKETBALL PLAYER AT ONE OF THE BEST SCHOOLS IN NEW JERSEY….CONGRATS TO ANNETTA PANAYIDES!! !